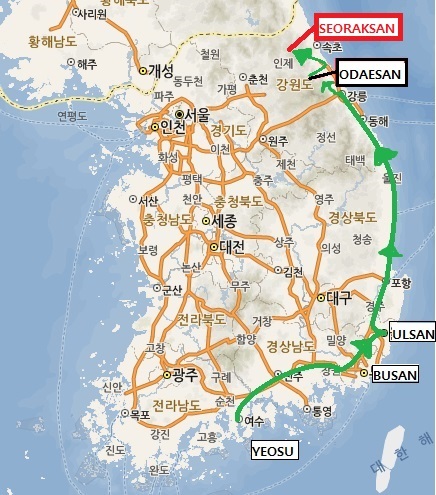 Seoraksan is divided up into three sections: 1) Outer Seoraksan is the easiest to access (from Sokcho) and it’s the ‘main’ area and therefore the most popular. 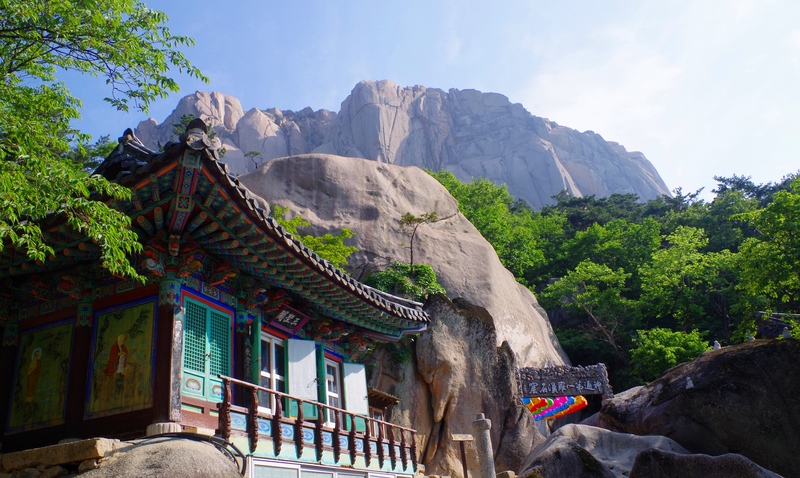 2) South Seoraksan is the area near Osaek mineral springs and provides hikers with the shortest (and therefore steepest) route to the highest peak in the park, Daecheongbong @ 1708m. 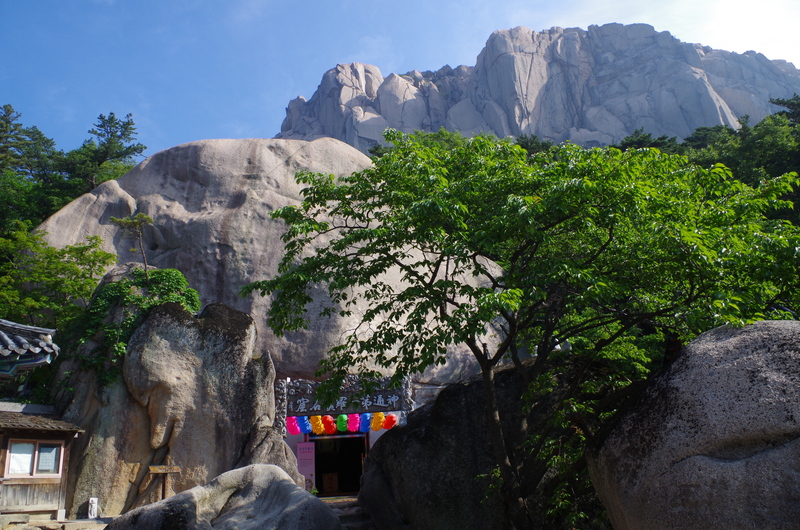 And lastly, 3) Inner Seorkasan is a bit harder to access but it still has fantastic views despite the lesser peaks and less foot traffic. 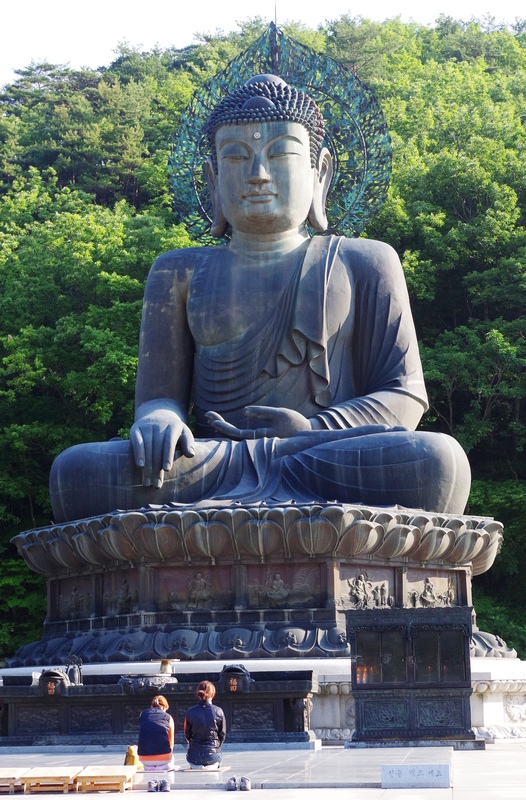 Elevation: 817m. 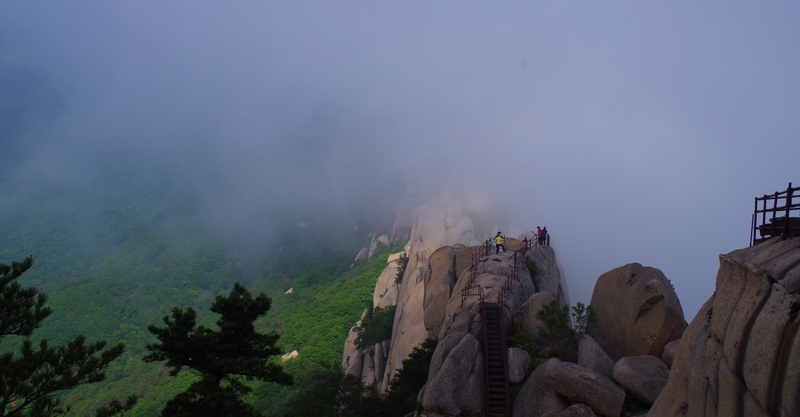 It’s nowhere close to the highest peak in Seoraksan, but because of how rugged the landscape is, this hiking course really draws the crowds. We were in a special place, I was smiling from ear to ear. We paid to enter the park, and then to park the car. After gathering our drinks and food we set out towards the Ulsanbawi course. 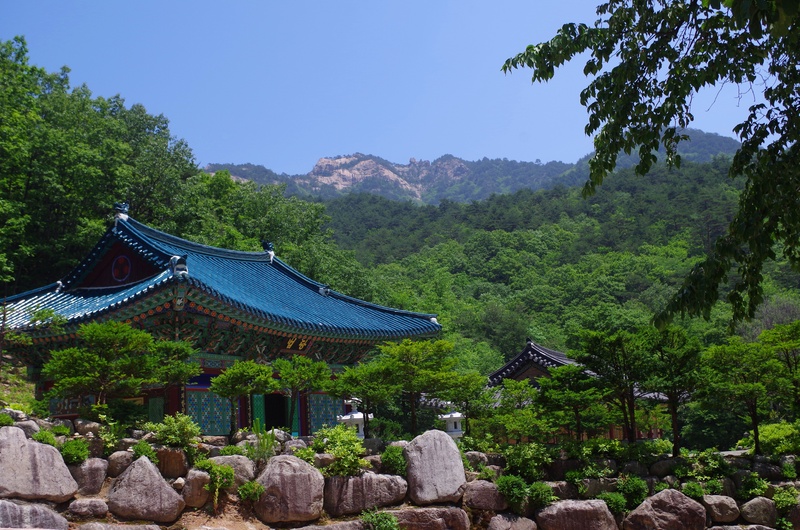 The Seorak-dong area (main park entrance) is pretty large and in-charge.. there’s restaurants, souvenir shops, tons of parking, and of course, tons of people! We arrived at about 7:30am, which is highly advised if you can do it. It’s pretty quiet before 8:00am. 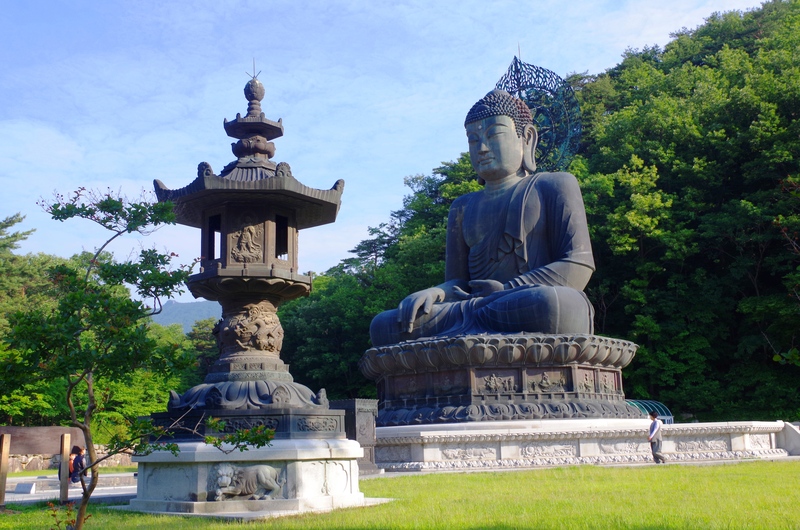 First, we came across this Tongil Daebul (The Great Unification Buddha) located in Sinheungsa Temple, right after the park entrance. You literally can’t miss it because it’s 14.6m (48ft) tall. 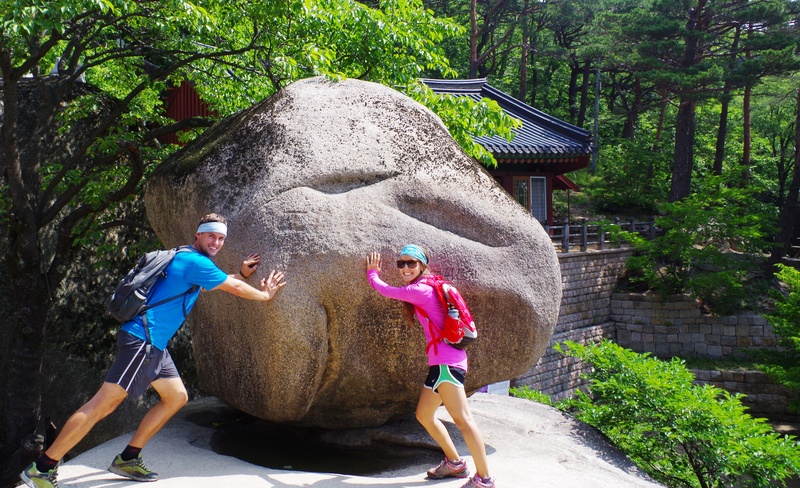 and 2) There’s a huge, round boulder called Heundeulbawi (흔들바위) which can be rocked back and forth if a group of people work together and push on it in sync. Elicia and I gave it a whirl, but couldn’t get it to budge. 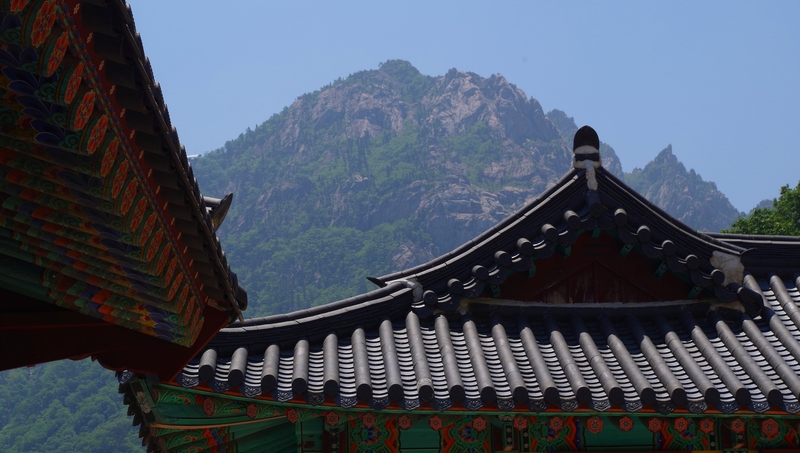 We were able to spot the highest peak (pictured both above and below) called Daecheongbong. 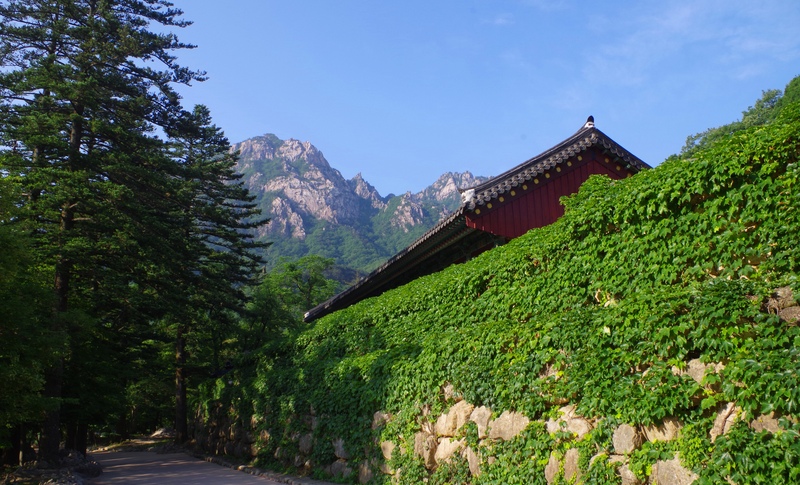 We’d be heading there to conquer the 1708m summit the following day! 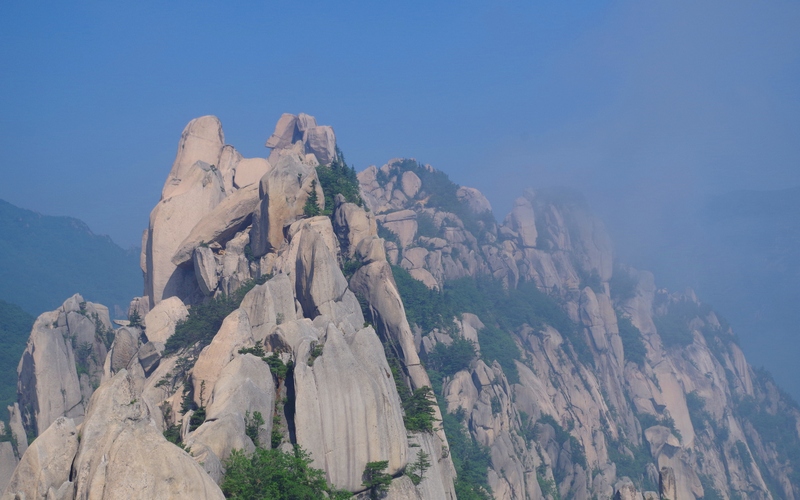 In total, you can plan on about 2 hours from bottom to top (first hour is 2.2km and pretty easy while the second hour is 1.1km and pretty steep). It was so beautiful up there on Ulsanbawi. We hung out and relaxed for nearly an hour on top. Overall: I absolutely enjoyed Ulsanbawi. 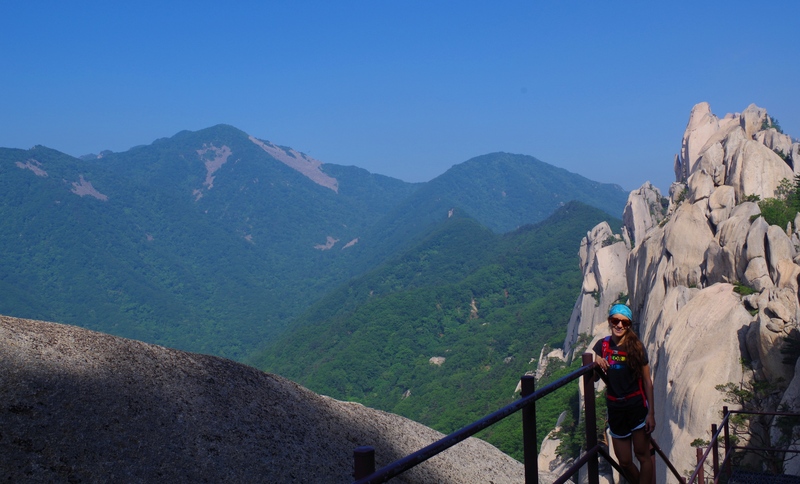 Strolling next to streams, pushing on huge boulders, going in a temple inside a cave, getting a one-hour stair-climber workout, and enjoying the views for one hour atop possibly the most famous peak in South Korea… it was all very spectacular! I loved this post! 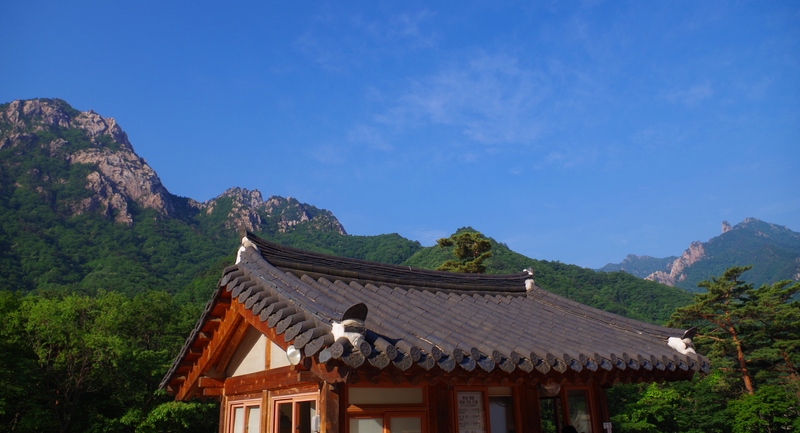 It looks gorgeous and amazing…korean hiking cracks me up because it always includes buildings along the way! But these are such picturesque buildings in a stunning backdrop, it is like a little special extra something. 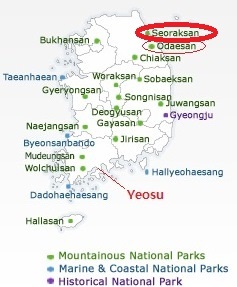 All I know is that our next trip to Korea is going to have to include a trip to Seoraksan. So glad you went there and shared with us! Can’t wait to see more of the park! Thank you! 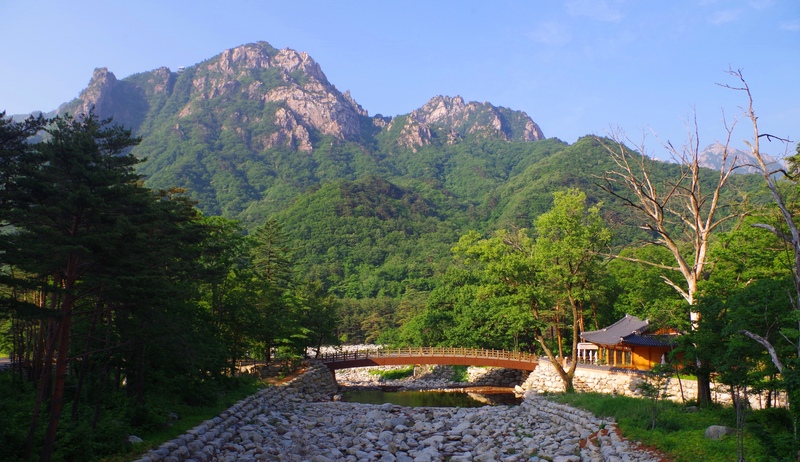 This area all around the main entrance and information center for Seoraksan National Park was really picturesque! Awesome post and photos! It only took you guys 2 hours to hike up? I am planning to bring my parents and brother up for a hike this Jan but was read up on some review saying that the hike up Ulsanbawi will actually take 5 hours :/ What’s your advice on that? 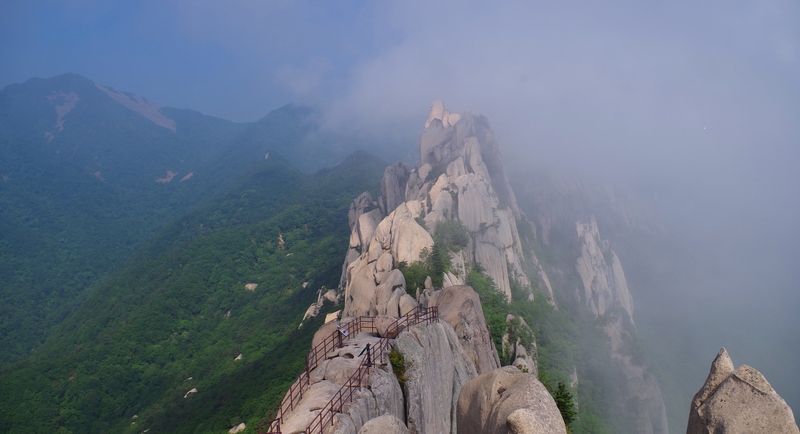 And seeing from your post on Daecheongbong Peak, I am really tempted to hike up there! But am not sure if it’ll be difficult during winter (though I’ve heard that it’s extremely beautiful then!). 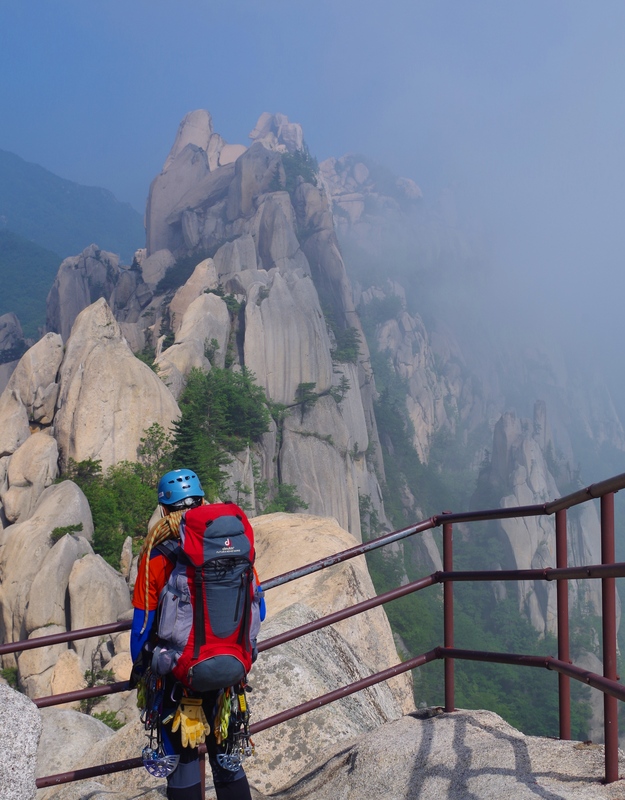 Would you be making any climb during Jan 2015? Thank you! Yes, I think it was about 2 hours but i dont remember exactly. The first half is very flat, and then the trail goes up for the remaining 2.6km which calls for about 1 hour 10 mins of hiking on my map. Its a lot of stairs, but slow and steady is key! I think itll be possible for sure. 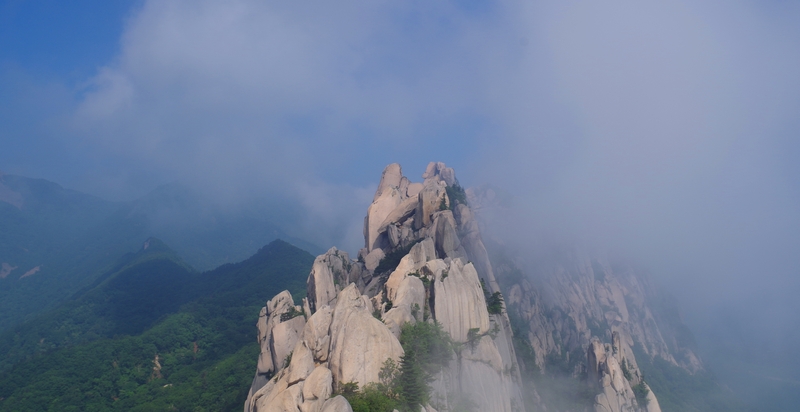 Daechongbong would likely be tough in winter, but certainly beautiful. This hike was a tough and long one for sure, but we had beautiful weather. 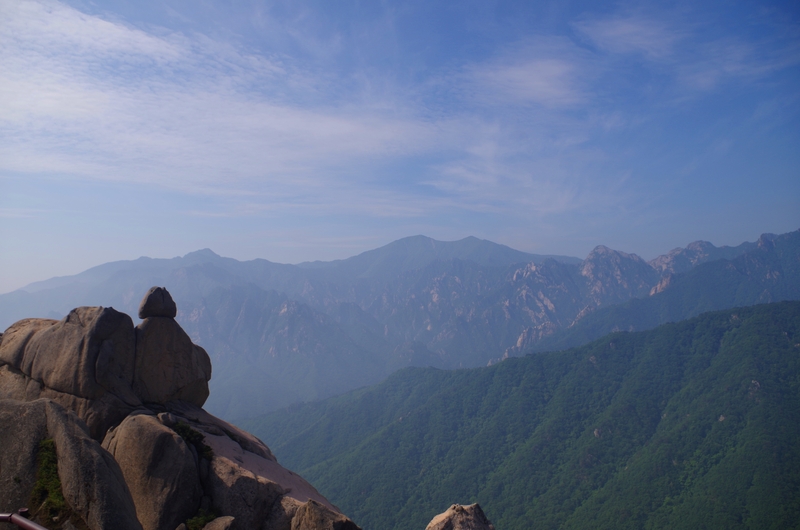 This Jan we will be teaveling a lot, so likely no hiking in Korea. But we will trek in Vietnam and Cambodia! 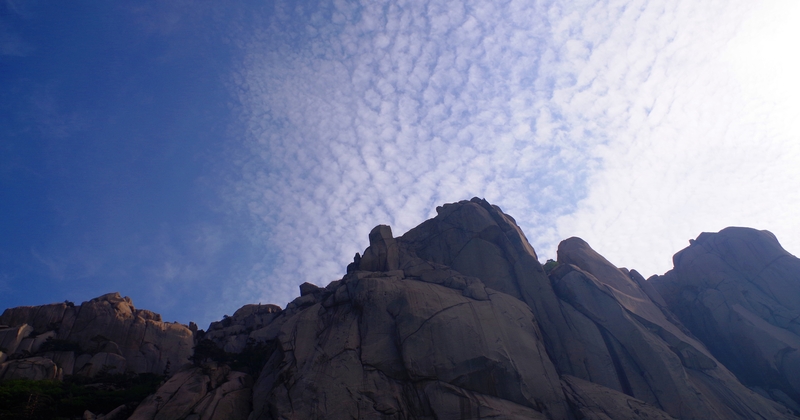 Pingback: Seoraksan National Park: Ulsan Bawi | S.K. in S.K. Awesome post again and all the details I needed are all here. Thanks for sharing. Thank YOU for your kind words. Glad it helped someone! Feel free to holler if you’d like help or assistance. I live in Morocco now but can help via email or by comments. Have a good one! Hello! 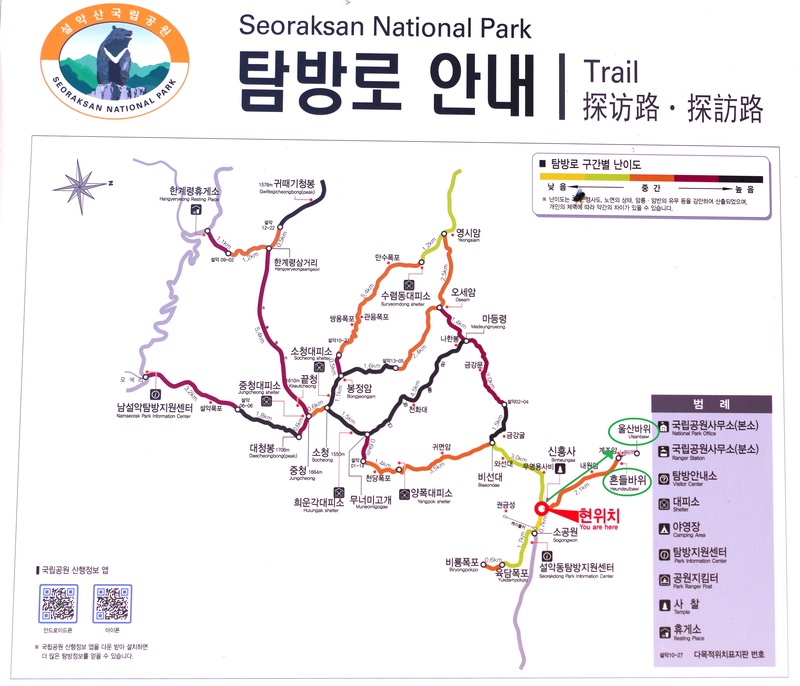 Was reading your post and was wondering if Its possible to hike up to Daecheongbong from Seorakdong park info center? Thanks! Hi! Thanks for stopping by KKM. 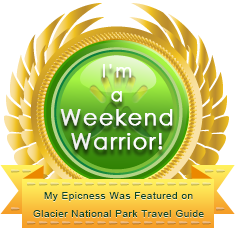 It’s possible, but it’d be a very very long day hike or else it’d be required to stay overnight at one of the parks shelters (reservable online only, first come first serve). 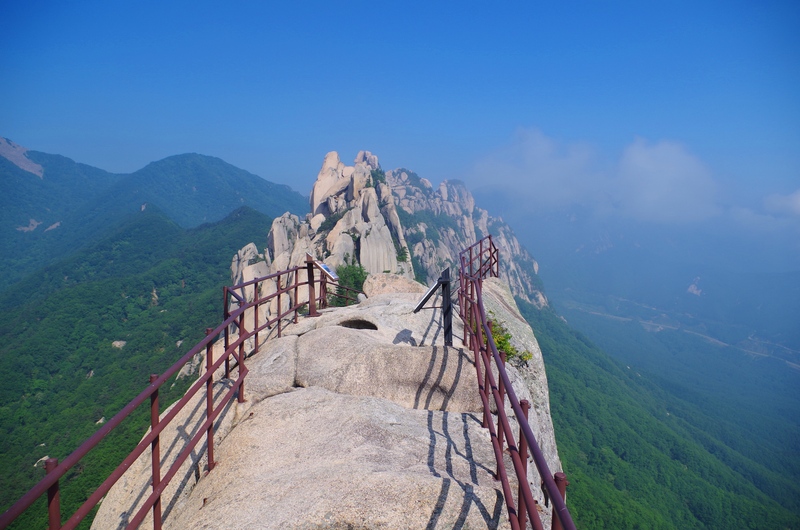 Please take a look at the map image I have on this blog post or the post about Daecheongbong Peak for some more details. Happy Trails! Hello! Just stumbled across this very helpful post, as I was considering doing the Ulsanbawi course. May I ask what was the last 1.1km like! Was it just stairs without any legitimate hiking? Sorry, I’m just really worried because I have absolutely no experience hiking, but climbing stairs are fine! Thank you so much! I’d highly recommend this course, just if possible begin very early to avoid the crowds since it is a very popular course and peak to take those amazing pictures. 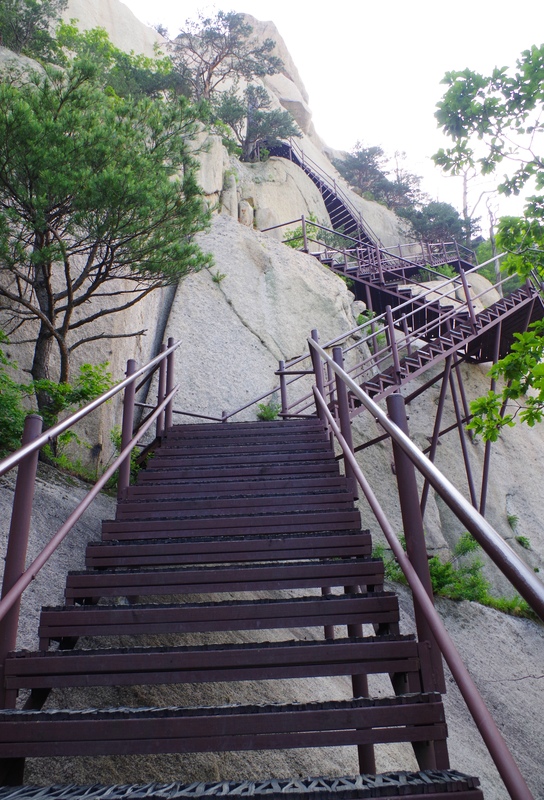 The last little bit is mostly stairs and although it’s difficult, I don’t think you need experience hiking. It’s clearly marked, you’ll be just fine! Good luck, enjoy, and happy trails! what do you think about Ulsanbawi trail in winter? From your photos, I suppose it is not suitable to hike with 4 yo toddler, no? Hey! That’s a good question.. I’m not too sure actually. I’d say it’d be fine with a 4YO as long has he/she likes stairs :) If it snows in a month or two, that may present some challenges on the hike up and those stairs (slippery)…. is probably avoid in the winter months with a little one, but that’s just me. Thanks for this great blogpost! Came in very handy during our visit to this gorgeous national park. You’re welcome! 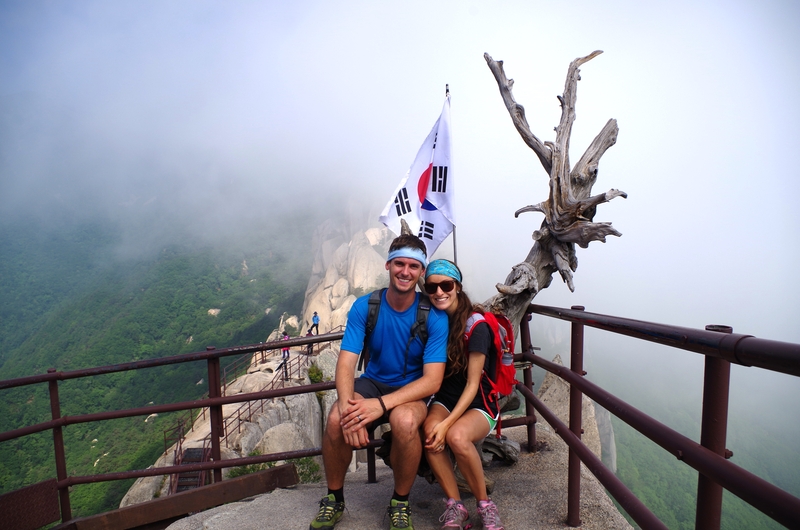 Thanks for stopping by and getting out to explore Korea’s beautiful parks.